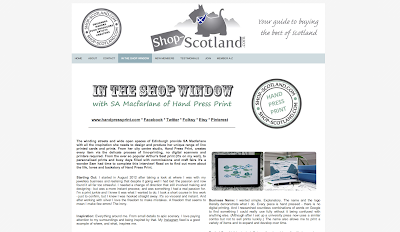 hand press print: In the Inky Fox Shop - and In the Shop-Scotland Shop Window! In the Inky Fox Shop - and In the Shop-Scotland Shop Window! Crumbs - how can it be almost a month since I updated you all? 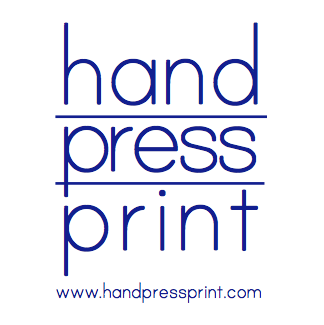 In my last post I teased you that I was sending off a package of Hand Press Prints to a new supplier. Now I can reveal all: Inky Fox Shop opened this month in the heart of the Potteries in Coalport. They have a fantastic space in an old mill building; surrounded by other artists and studios in the guise of United ArtSpace. Inky Fox Shop are proud to support handmade British products and are kicking off the summer season with an Etsy Craft Party too! They'll be opening an online presence soon - so you can buy from them in person, or if you see something you fancy - you can get it online. If you're in the area - do pop in. Inky Fox Shop - opened this month - stocked with loads of Hand Press Print! My dog photo-bombing the stock layout! Whilst preparing all the new stock for Inky Fox I finally managed (after many, many drafts) to finish my Flock print. 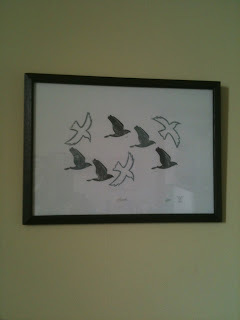 I always knew I wanted something to go with the Shoal print - and now I'm busy framing up the pair in matching frames. Soon the unframed print will be on Etsy and Folky too. This month coming I will also be featured In The Shop Window at Shop-Scotland. To steal their own words: Shop Scotland has a simple concept. We aim to bring you some of the best, most creative and inspiring businesses from across Scotland. From jewellery, cushions and cabinets, to paintings, fudge, glass art, soaps and much much more we showcase a wealth of Scottish talent and small businesses. Shop-Scotland not only achieve their aim, but they work really hard to promote those makers. I've been lucky enough to meet quite a few makers at fairs - and the level of support and community has been fantastic. Definitely to be recommended - if you're thinking about joining - GO AHEAD! 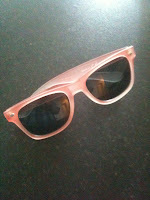 And now, as summer begins to creep in and I prepare for more summer fairs - please keep an eye on my Facebook page for all events (and if you like Hand Press Print then don't forget to LIKE us on Facebook too) - I've bought some new sunglasses... which might mean I never see the sun again. Have I jinxed it? Happy start of the Summer everyone!